The medium dark green Armenian cucumber is the melon’s version of a regular American-type cucumber. This cucumber is a C. melo and can be easily crossed with muskmelons. It is completely average in size and shape. However, it has a very nice texture, closer to the texture of a Painted Serpent cucumber than to the texture of a regular white Armenian cucumber. The downy fuzz factor is minimal. The short hair that covers this melon is almost undetectable when sliced, but can be seen upon close inspection of the whole fruit. The disease resistance of this variety is good, but not as fantastic as the Painted Serpent. This means you would not want to plant this variety in an area that recently had Powdery Mildew. Fruit set begins at 65 days, a little after the regular Armenian but much sooner than the female fruits will set on the Painted Serpent. Additionally, the color and growth pattern of the fruit of the Medium Dark Armenian enable the gardener to easily spot it before it begins to set seed. 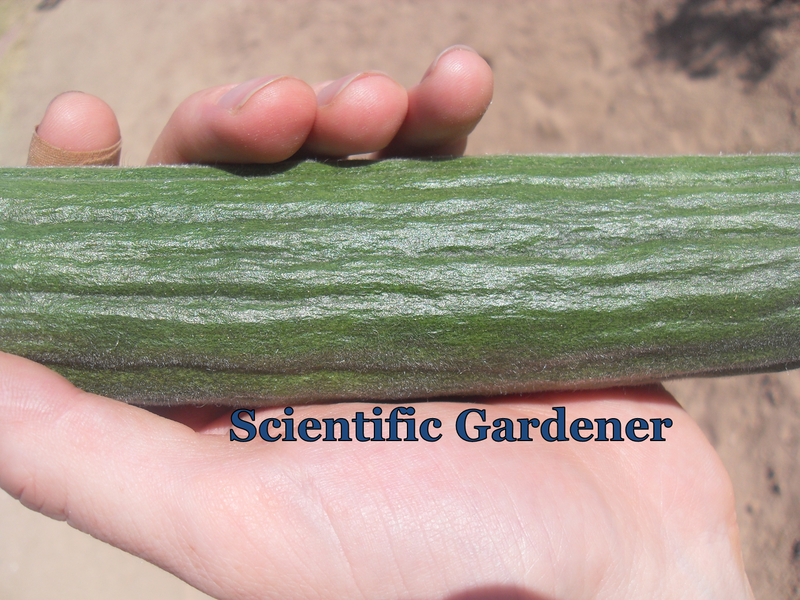 If you are a gardener who is familiar with the regular Armenian Cucumber and do not want to grow them due to the taste, or if you are a gardener and you are concerned that your growing season may not be long enough for the Painted Serpent may I suggest you try the delicious Medium Dark Green Armenian cucumber. 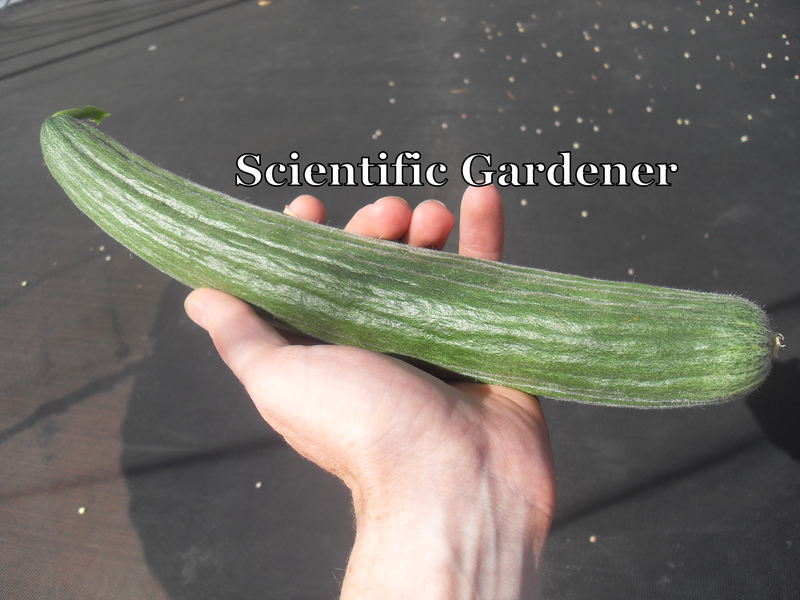 Update: I currently sell seeds of this cucumber variety in sample seed packets at Cucumbershop.com. Do you grow all these from seeds? Then, it would be great if you can write down your experience with seeds. Thank you for your interest in this variety! Everything I grow, except for Sweet Potatoes, is from seed. The number of days to maturity (fruit set/table ready), as listed on the post, is from seed. You plant and grow these just as you would muskmelons (American cantaloupe). Most melon-cucumbers are very heat tolerant and can be harvested much sooner than melons - enabling those who live in areas with heavy pest and disease problems to still get a crop before having major pest issues. Your blogname is attractive, that pulled me to be here! hi. Maybe Tuczon's temps are almost like ours, however i haven't seen that cucumber. It somehow looks like a bitter gourd with the spines leveled down. But does it taste just like the ordinary cucumber? Thanks for the post Andrea. Where are you growing? Tucson is in desert hardiness zone 9a. This cucumber is nothing like a bitter gourd. This variety is botanically a C. melo and readily crosses with muskmelons. It tastes very close a store-bought cucumber except (in my opinion) much better. This cucumber has no hard outer skin and requires no peeling. You just wash the skin, slice it up and dine. I have grown the Armenian cucumber, and it is a nice change from the usual varieties I grow. We are having such warm temperatures that I may be planting cukes earlier than usual. This was a very informative post. I am sure you would like some of the other cucumber melon varieties as well. Thanks for the post!